"Obama's America: Unmaking the American Dream"
Dinesh D'Souza presents his thoughts on what a second term for the Obama administration would look like. The author contends that the President's policies would greatly reduce America's global influence. Dinesh D'Souza speaks at the Cooley Conference Center in Lansing, Michigan. Dinesh D'Souza is the president of King's College in New York City and a former research scholar at the American Enterprise Institute and the Hoover Institution. He served as senior domestic policy analyst in the Reagan White House from 1987 to 1988. Mr. D'Souza is the author of several books, including The Roots of Obama's Rage and What's So Great About Christianity. For more information, visit dineshdsouza.com. 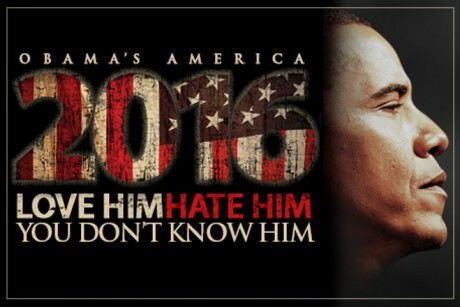 If the Obama campaign hopes the Democratic convention will renew America's love affair with the president, Dinesh D'Souza has some unwelcome news: his film attacking Obama will reach more than 2,000 cinemas this weekend, putting it on track to be the second most successful documentary of all time. "The product is selling because people sense there is real information here," D'Souza told the Guardian. "Not allegations, not assertions, but real information that is valuable in assessing the future of the country." Democrats leaving Charlotte on Friday fired up for the November 6 election would choke on that claim, and try to dismiss D'Souza as a crank. The trouble is, his film, 2016: Obama's America, is spreading across ever more cinema screens and proving a remarkable box office hit. While party faithful hailed Obama's nomination acceptance speech as an outline for a progressive second term, D'Souza called it part of a covert strategy. "It's a smoke-and-mirrors performance, because the bottom line is that Obama has a completely different agenda to what he's letting on." The 87-minute film follows D'Souza, a conservative, Indian-born scholar, as he traces Obama's roots and "rage" to Africa, Hawaii, Indonesia and his absentee, anti-colonial father. It will have a "second wave" in the form of DVDs and home box office options in the last three weeks of the election, he said. "I would suspect that the majority of our attendees are conservative or Republican, but there's a sense that the film is breaking out beyond that group." Many critics have savaged the film. "A work of propaganda that offers base innuendo in lieu of argument," said the New Yorker. An Associated Press fact-checking article found the film, a cinematic version of D'Souza's 2010 book The Roots of Obama's Rage, to be "almost entirely subjective and a logical stretch at best". But D'Souza, a former thinktank researcher who lives in New York and is president of the Christian liberal arts school The King's College, is unabashed. Well, Michael Moore's "Fahrenheit 911" was a box office smash blockbuster, but even that didn't exactly do anything to sway the 2004 election. Pt being that these types of films do nothing more than manipulate audiences into staying under that fake left/right paradigm umbrella. It's as if the filmmaker is telling everyone to turn to Romney for all the answers. Really? The same Mitt Romney that had his own version of universal health care in MA that was authored by the same guy who did Obamacare? The same Mitt Romney who was heavily involved with the eugenics program when he heavily invested in Bain, which invested in a company with ties to the abortion industry? The same Mitt Romney who believes global warming exists? Or how about when all the bank bailouts started in 2008, when Bush II was President(which got the ball rolling)? Or why didn't this filmmaker hold John McCain and Sarah Palin accountable for standing down and acting like fools in the 2008 election, which all but lead to Obama getting into the White House? While this filmmaker likely did a thorough job exposing Obama himself, it's really not what he's saying, but it's what he's NOT saying(and the same goes for others like Moore). What are the true origins of Obama's life and politics? At age 18, Barack Obama admittedly arrived at Occidental College a committed revolutionary Marxist. What was the source of Obama's foundation in Marxism? Throughout his 2008 Presidential campaign and term in office, questions have been raised regarding Barack Obama's family background, economic philosophy, and fundamental political ideology. Dreams from My Real Father is the alternative Barack Obama "autobiography," offering a divergent theory of what may have shaped our 44th President's life and politics. In Dreams from My Real Father, Barack Obama is portrayed by a voiceover actor who chronicles Barack Obama's life journey in socialism, from birth through his election to the Presidency. The film begins by presenting the case that Barack Obama's real father was Frank Marshall Davis, a Communist Party USA propagandist who likely shaped Obama's world view during his formative years. Barack Obama sold himself to America as the multi-cultural ideal, a man who stood above politics. Was the goat herding Kenyan father only a fairy tale to obscure a Marxist agenda, irreconcilable with American values? This fascinating narrative is based in part on 2 years of research, interviews, newly unearthed footage and photos, and the writings of Davis and Obama himself. Dreams from My Real Father weaves together the proven facts with reasoned logic and speculation in an attempt to fill-in the obvious gaps in Obama's history. Is this the story Barack Obama should have told, revealing his true agenda for "fundamentally transforming America?" Director Joel Gilbert concludes, "The 'Birthers' have been on a fool's errand. To understand Obama's plans for America, the question is not 'Where's the Birth Certificate?,' the question is 'Who is the real father?'" In Dreams from My Real Father, Barack Obama is portrayed by a voiceover actor who chronicles Barack Obama's life journey in socialism, from birth through his election to the Presidency. The film begins by presenting the case that Barack Obama's real father was Frank Marshall Davis, a Communist Party USA propagandist who likely shaped Obama sold himself to America as the multi-cultural ideal, a man who stood above politics. Was the goat herding Kenyan father only a fairy tale to obscure a Marxist agenda, irreconcilable with American values? This fascinating narrative is based in part on 2 years of research, interviews, newly unearthed footage and photos, and the writings of Davis and Obama himself. Dreams from My Real Father weaves together the proven facts with reasoned logic in an attempt to fill-in the obvious gaps in Obama's history. Is this the story Barack Obama should have told, revealing his true agenda for "fundamentally transforming America?" Director Joel Gilbert concludes, "To understand Obamaâ€™s plans for America, the question is â€™Who is the real father?â€™"
Submitted by Terresa on August 31, 2012 â€“ 10:41 pm EST2 Comments. Although the Associated Press and ABCâ€™s Nightline program have taken apart Dinesh Dâ€™Souzaâ€™s film, â€œ2016: Obamaâ€™s America,â€� another film about the President is strangely getting the silent treatment from the major media. This film, â€œDreams from My Real Father,â€� explores in detail the relationship that Obama had with Frank Marshall Davis, a Communist Party member suspected by the FBI to be a Soviet agent. The film was being shown this week at the Troublemaker Fest, a film and entertainment festival held during the Republican National Convention in Tampa. The Dâ€™Souza film was also being shown at the same location. Summing up, Gilbert contends that Obama is a â€œRed Diaper Baby,â€� the child of a CPUSA member. â€œThis is a known phenomenon in the radical leftâ€”many of the leaders of the SDS and Weather Underground were children of Communist Party USA members, including Kathy Boudin and Jeff Jones,â€� he points out. The filmmakers behind 2016: Obamaâ€™s America are claiming a coordinated attack engineered by supporters of Barack Obama to suppress the box-office results of the movie, which is a critical look at the president. Artificially depressed? Didn't the Michael Moore Fahrenheit 911 movie make $100m+ at the box office during Bush II's re-election year? Yeah, look how good that did to kick Bush II out of office. Even if it were artificially depressed, it's probably only a few million dollar difference. As for the film itself - haven't seen it, and don't plan to, however, from what I read, this filmmaker didn't exactly expose the entire system that's controlling Obama by the puppet strings. IOW, like the Michael Moore film it seems, it's keeping you in that left/right paradigm. Joel Gilbert sent 2.7 million DVD copies of his documentary, â€œDreams from My Real Father,â€� to voters in Florida (1.5 million), Colorado (700,000), and Iowa (500,000). Last month he made a similar move, sending 1.38 million copies to those in Ohio, 100,000 to voters in New Hampshire, and another 80,000 to those in Nevada. 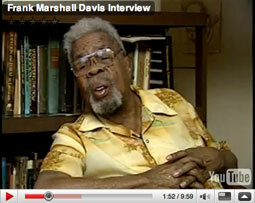 A filmmaker whose full-length documentary, â€œDreams from My Real Father,â€� presents a compelling case that Communist Party USA propagandist Frank Marshall Davis is Barack Obamaâ€™s biological father, is challenging the U.S. media to begin reporting the truth about the likely Democrat nominee for president in 2012. 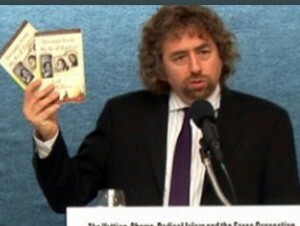 Joel Gilbert, whose website details his research, appeared recently at the National Press Club in Washington to talk about the questions raised in his film. â€œWhat strikes me as most disturbing is that any one of the hundreds of American journalists in this building could win the Pulitzer Prize just by writing about the evidence presented in â€˜Dreams from My Real Father,â€™â€� he said. A journalist, after all, is supposed to report the news, truthfully and fairly, he argues. He cited the National Press Club bronze that lists the â€œJournalistâ€™s Creed,â€� as written by Walter Williams when he founded the Missouri School of Journalism more than a century ago. â€œThe Journalistâ€™s Creed is like the doctorâ€™s Hippocratic Oath, but for journalists. Imagine if all physicians chose to ignore the Hippocratic Oath? Weâ€™d all get sick. In this case, we are all becoming badly infected with Marxism,â€� Gilbert told WND. He said that American journalists have been in the pocket of the Obama campaign and administration, in violation of those precepts for journalists. Israel: Barry Soetoro's bullet proof limousine broke down. They had to bring another one in from Jordan. They say the car broke down because they filled the tank with diesel fuel instead of regular fuel. One of the limousines in Barack Obama's fleet has broken after reports that it was mistakenly filled with the wrong fuel at the start of the US president's visit to Israel. Another limo is on its way from Jordan, according to Ma'an News agency, citing Israel's Channel 10, reportedly after a mixup over whether the vehicle ran on diesel or gasoline. This must have pizzed of his highness. Why is it I get the feeling someone is to be fired, well my hats off to whoever played this gag.. (Oby has run out of gas). Not to go off the map, I hope.. The regime has instigated wars, invasion, and given the brass orders they should have spit on. Sure he is commander and chief, but military BRASS have an obligation to this country, people and their oath. Raining death on innocents is not a game nor is putting Americas sons in harm way for the sake of regimists, elites and the MIC. I mention this because I have a feeling there are a % of enlightened brass on the verge to tell the jokers pulling the strings, to go and shiite in their fist, the remainder who do nothing for the sake of position have sold out. Interesting, because I thought a diesel fuel nozzle wouldn't fit in a regular gas tank, to prevent this from happening. Unless Israel doesn't have that advanced fuel nozzle technology yet. It usually the other way around. I've seen cowboys put gas in their diesel, then remember they are driving their diesel instead of their farm truck. IF YOU HAVEN'T WATCHED THIS VIDEO YET, WATCH IT!